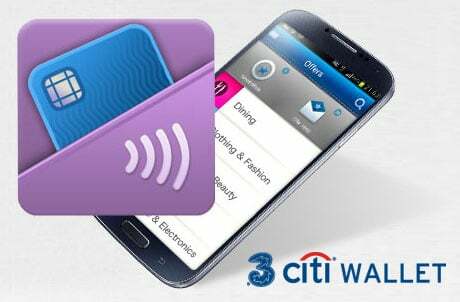 Mobile network operator 3 Hong Kong and Citibank Hong Kong have launched the 3 Citi Wallet, an NFC mobile wallet solution for customers of the carrier who also have a Citibank Visa credit card. From this month customers will be able to make mobile payments at 9,000 Visa Paywave terminals in more than 3,400 merchants in Hong Kong, as well as thousands more across the world. Users can assign up to three Citibank Visa credit cards to the mobile wallet for additional payment options. To complete a purchase, they sign in to the 3 Citi Wallet app with a password and tap the phone to the Paywave reader at checkout. The spending limit is set at HK$1,000 (US$129) per purchase. The service is compatible with a wide range of NFC phones from Samsung, Sony, HTC and LG. iPhone users can also access the service using an NFC sticker provided by Citibank. The mobile wallet includes a search function that directs consumers to the best deals within their vicinity, as well as allowing them to receive location-based offers and check their transaction history. More than 230 offers from different merchants around the city — including Fortress, ParknShop, Watsons, Fusion, Taste, International, Gourmet and Supa-Depa — are available. The wallet app requires a user-defined password to sign in, and customers can also set their own auto-logoff time and choose to get SMS alerts when purchases are made. Customers can also set preferences for receiving merchant offers and Android users can search for merchant offers based on personal preference, location and keywords, as well as store the offers for future use. “In a market such as Hong Kong, where the mobile subscriber penetration rate exceeds 230%, we are confident that the NFC mobile payment service will further promote the trend of ‘tap and pay’ spending for today’s consumer,” says Amy Lung, managing director of 3 Hong Kong.